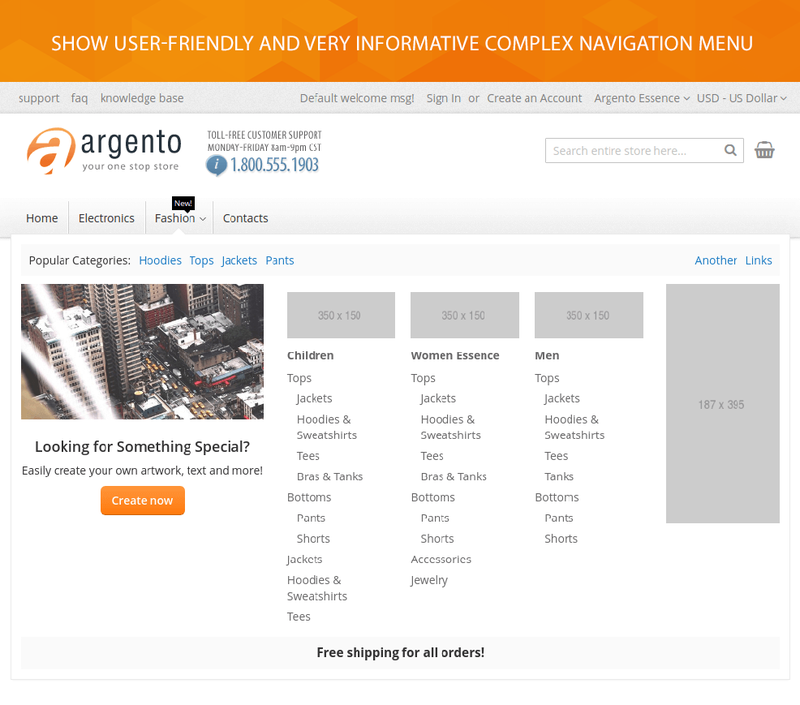 When creating the excellent user experience in your e-commerce store, you have to focus on navigation first. It is clear that it must reflect a common set of usability principles. 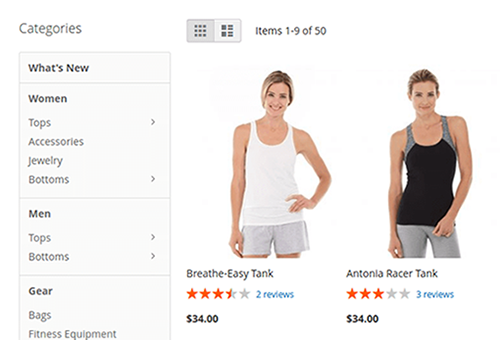 We recommend you to design an intuitive navigation to help customers search for products at Magento 2 website without thinking. 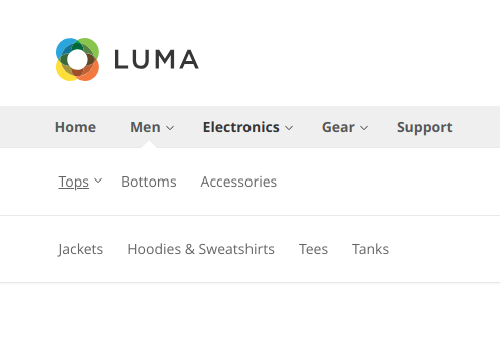 How to create the intuitive and easy-to-manage website navigation menu? 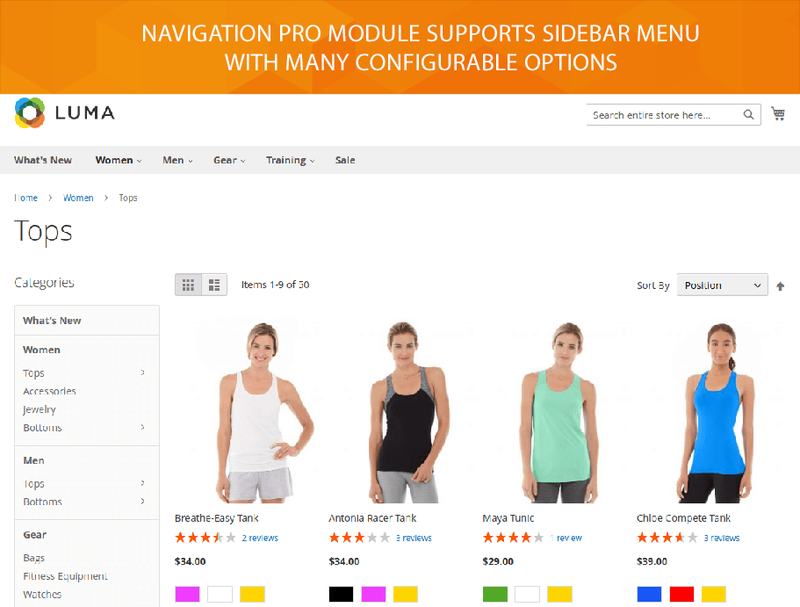 Try out the Navigation Pro extension for Magento 2. 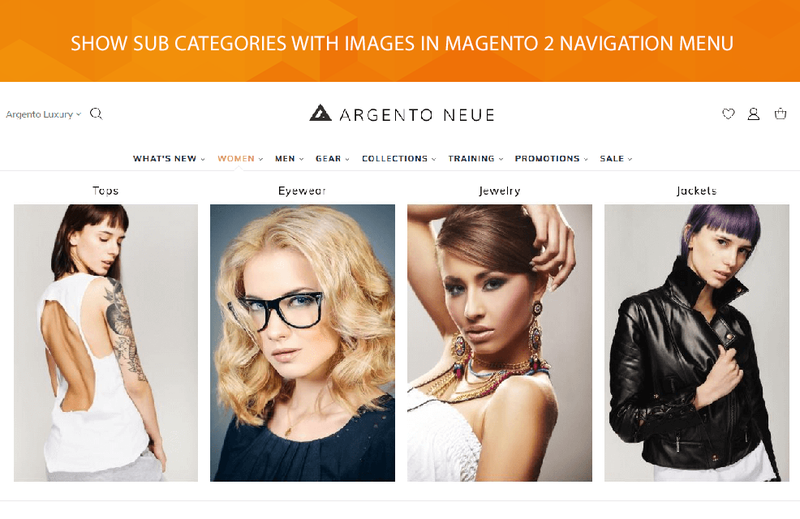 Using this powerful tool, you will improve the Magento 2 navigation menu at all levels. 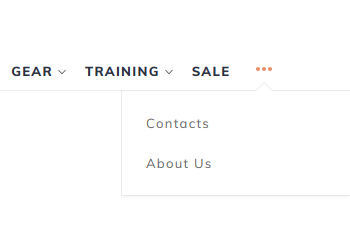 Our module allows you to create different navigation menus with custom items and drop down content. Supports all touch devices, tablets, and phones. Take your site navigation to the next level. 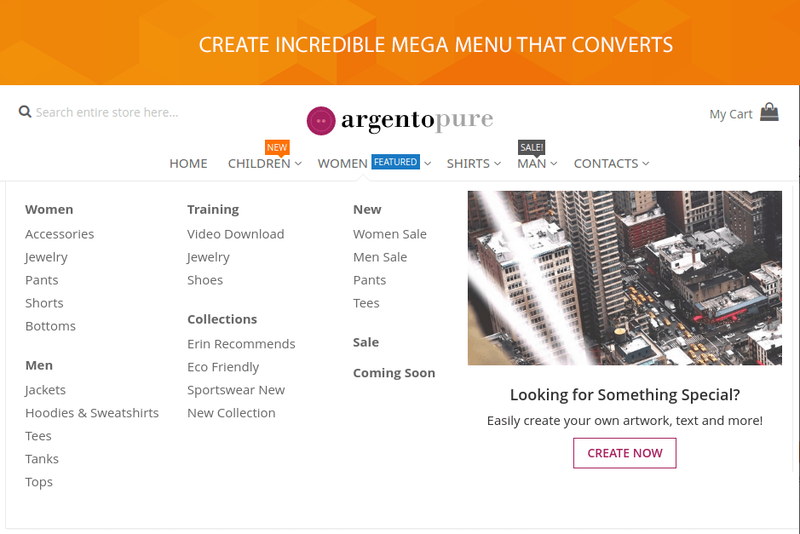 Build mega menu with ease. Add multiple subcategories inside drop down. Enhance the customer experience all around a website. 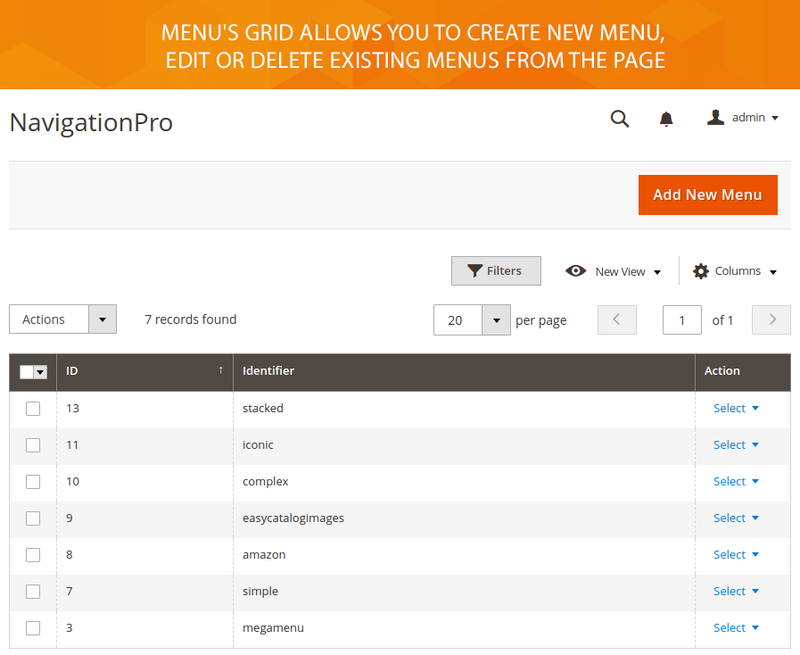 Navigation Pro module allows creating a simple dropdown menu to let users choose an option from the list. 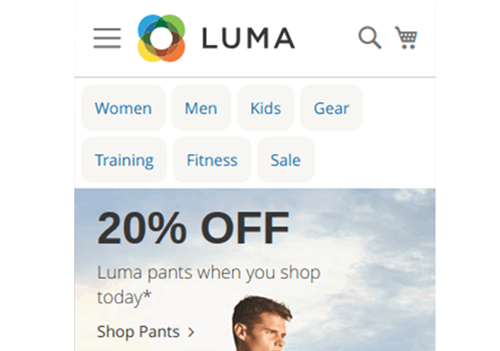 This menu usually has the minimalistic design that helps to prevent the distraction of user attention from a store content. 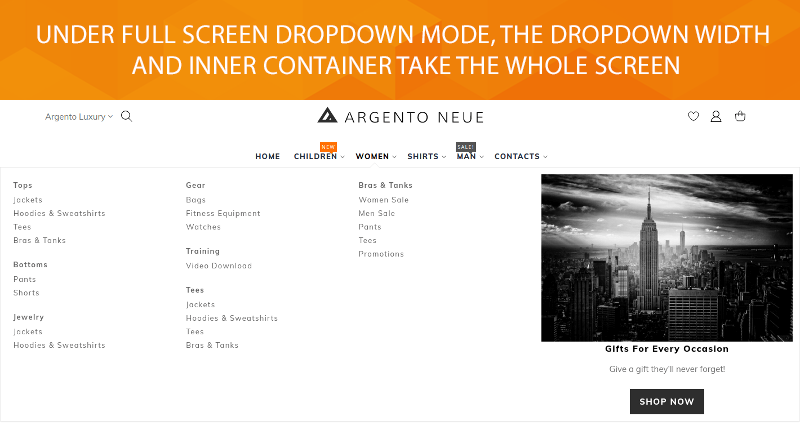 You can replace the standard top navigation with a simple menu in module menus’ grid. 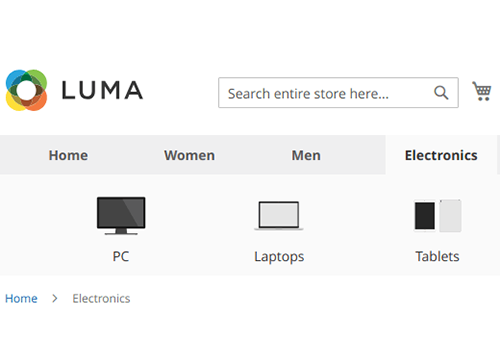 You can also enable this menu for a specified store. 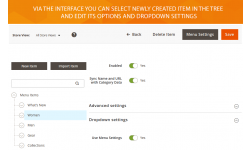 Via existing menu settings you can limit the number of loaded dropdown levels, change the drop-down width and layout both for simple and other menus. 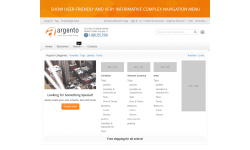 Besides enhancing usability, mega menus could maximise a website SEO performance. 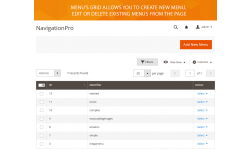 Navigation Pro extension allows you to add mega menu dropdown. 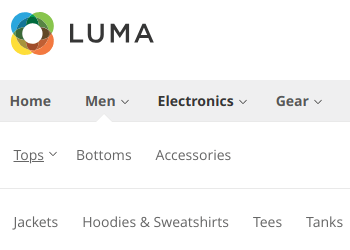 That way you can display the subcategories in vertical alignment mode as well as show a custom HTML content there. Moreover, you can show the category labels next to the top level category name. You can do that in a mega menu as well in other menus. It is easy to add the labels from the menu in a backend. You can use a menu item name renderer tool. Navigation Pro allows the creating an iconic menu. Good in communication meaning, the icons have much more benefits. Icons are visually pleasing and easily touched in a finger-operated UI. You can display them in a relatively small space. No need to translate the icons for international users. 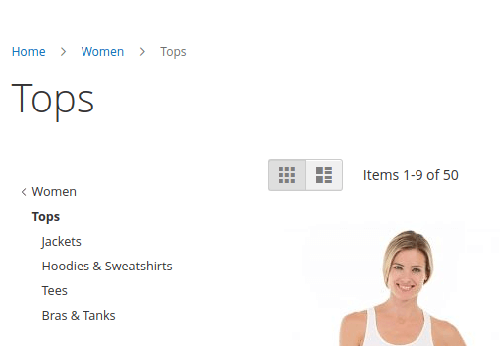 Thus you can show the subcategories in 3 columns horizontal alignment layout both in an iconic menu and other ones; display an additional information in custom HTML content blocks; show the drop-downs in iconic menu. 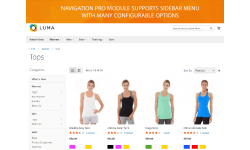 Navigation Pro module will help you to easily create Magento 2 Amazon menu. It has lots of advantages. 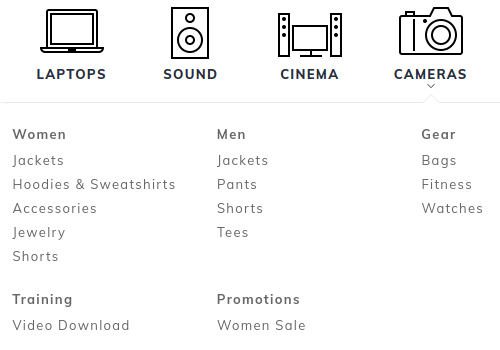 You can show a broad range of top-level categories and many products with multiple options simultaneously. 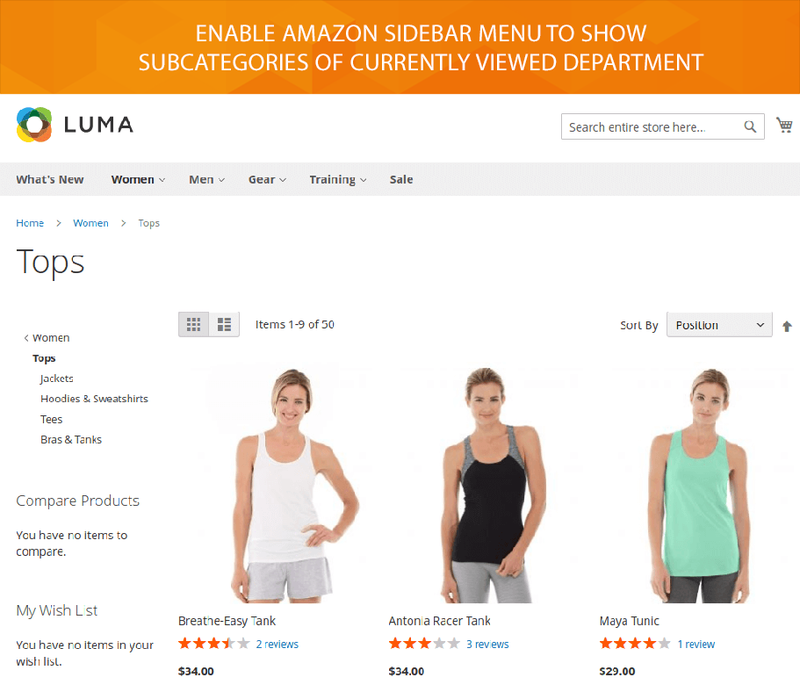 Amazon-like menu supports the links, icons, and images that can be arranged in a neat design. 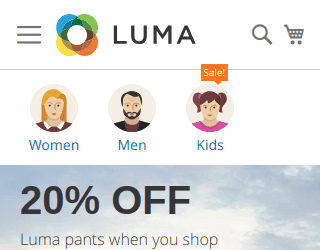 This menu is must have for sites with large catalogs. 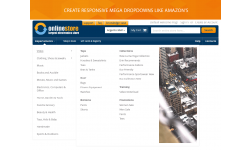 It will improve the overall usability of your website. 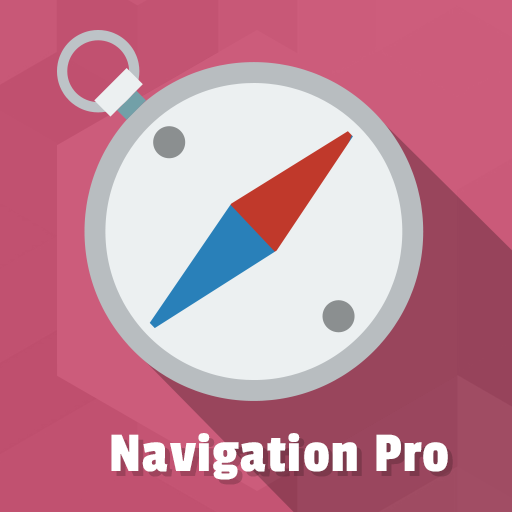 Navigation Pro module allows replacing a simple dropdown with full and highly informative complex dropdown. 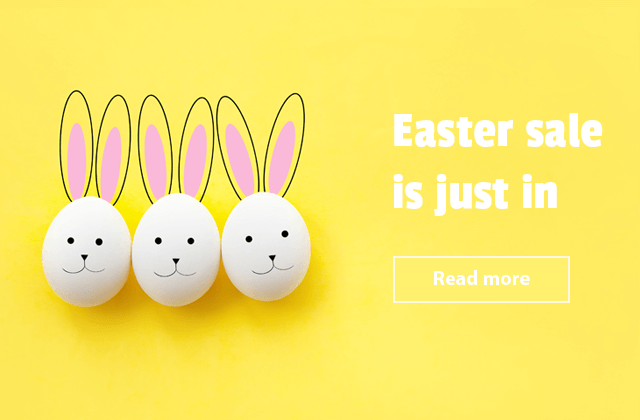 Besides available subcategories, you can add HTML content at the top, show graphical and right side banners and add the important and interesting content on the bottom. 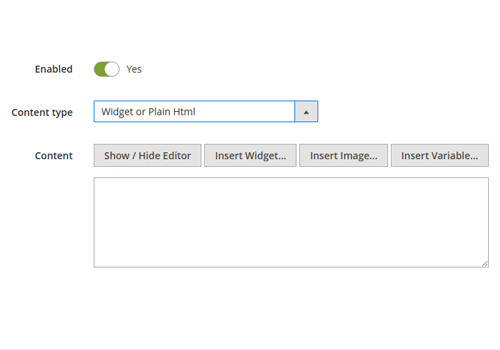 Via the module layout builder, you can add and resize the additional content blocks. 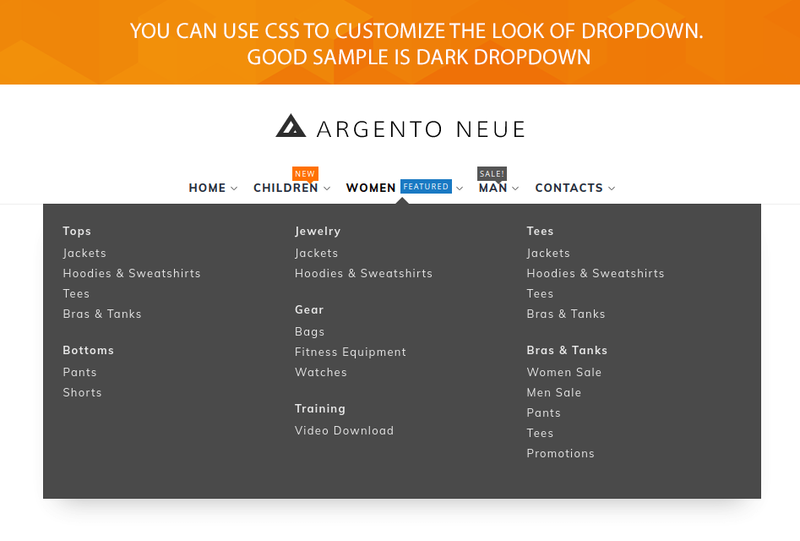 Unlimited customization possibilities are available with built-in CSS helpers. 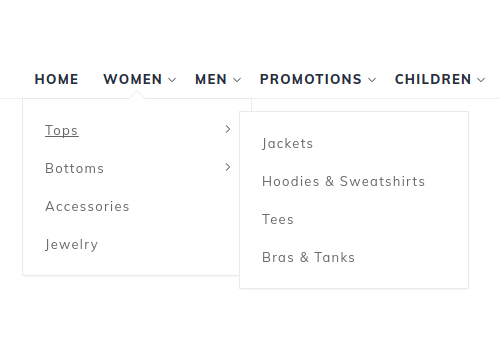 Via our extension, you can easily replace the standard subcategories block with Easy Catalog Images widget. 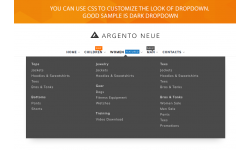 At the end, you will get the visually appealing dropdown with beautiful images. 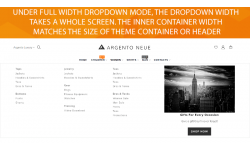 Our module includes the drop down layout builder that provides you with friendly drag and drop interface. Each block is resizable and draggable. 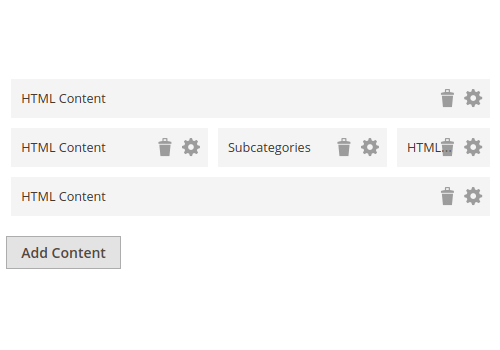 Thus you can remove the standard subcategories and add a custom HTML content. Navigation Pro provides you with the easy and quick way to customize menu styles without worrying about further updates. This allows you to keep the original files clean. Our extension includes a plenty of CSS helpers that help you easily add styles to your custom content. For instance, you can add the minor paddings, make the transparent background color, use the smaller/ bigger font size, create the vertical lists, align a text to the left/ right/ center, hide an element on mobile/tablet/desktop devices. 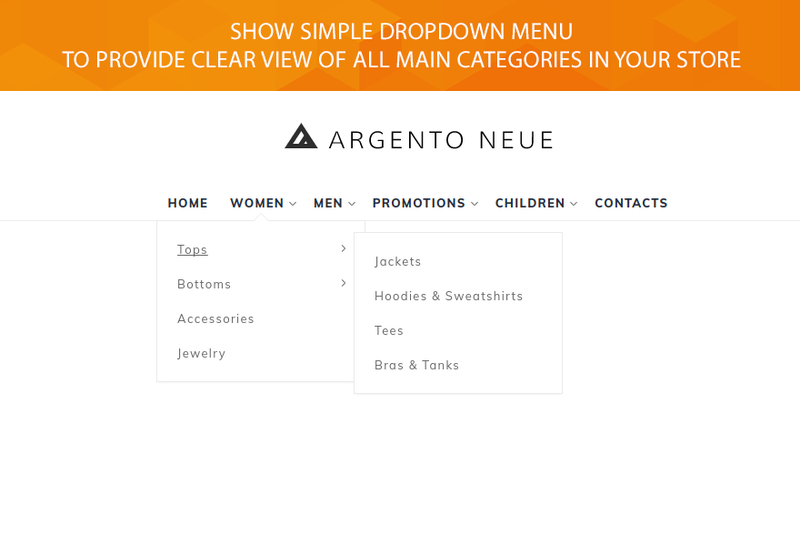 With Navigation Pro module's dropdown width modes you will organize the drop-down menus with an uniform width. This is very helpful in case the navigation item names are very long. 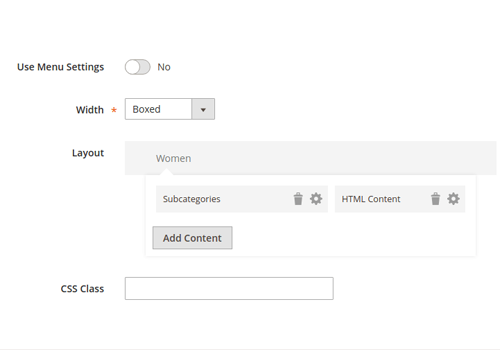 Thus you can set a Boxed (first level only) mode that makes a dropdown width match a size of theme container or header. 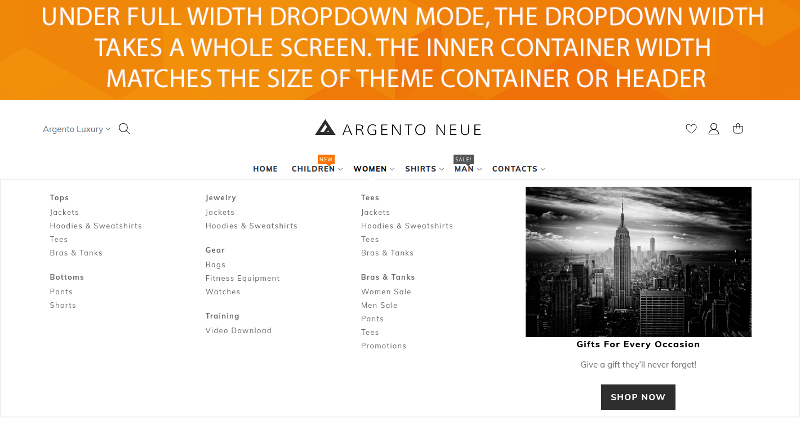 When a Full Width (first level only) mode is used, a dropdown width takes a whole screen and an inner container width matches the size of theme container or header. 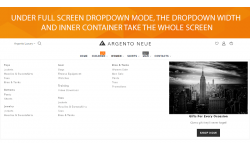 Through the Full Screen (first level only) mode the dropdown width and inner container take a whole screen. 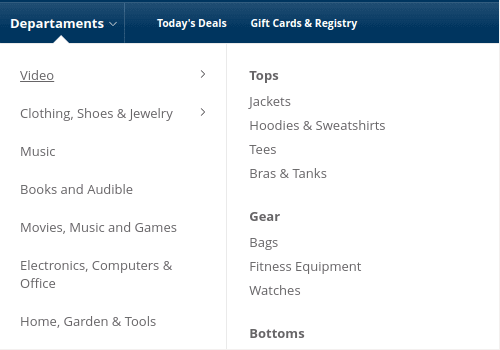 Apart from Amazon like drop-down menu, the Navigation Pro module supports the Amazon sidebar menu. 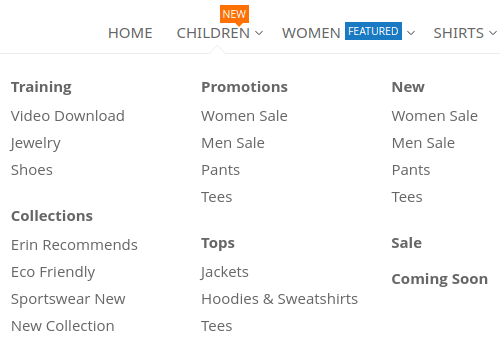 Now you can easily create the sidebar menu that will show subcategories of the currently viewed department. That will help you to display a flexible and content-rich fold out a menu. Moreover, this type of menu should be used in a responsive web design for better navigation for any screen size. 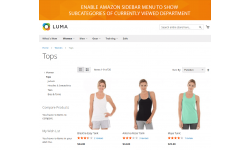 Encourage customers to browse more efficiently. Show Menu with initially expanded levels. 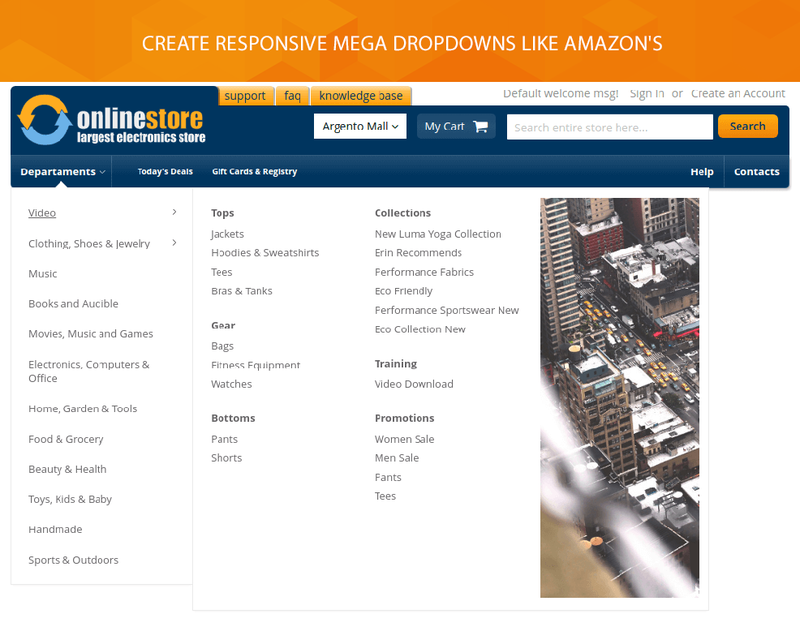 Choose between horizontal (Top) and vertical (Sidebar) menus. If you suppose a drop-down menu is complex for your customers, you might like the Apple menu type. In fact, this navigation menu is a combination of two menus. 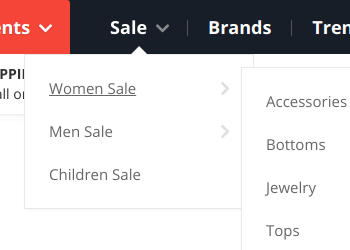 A first one shows the top-level categories only, a second one shows children of an active category with nice icons. 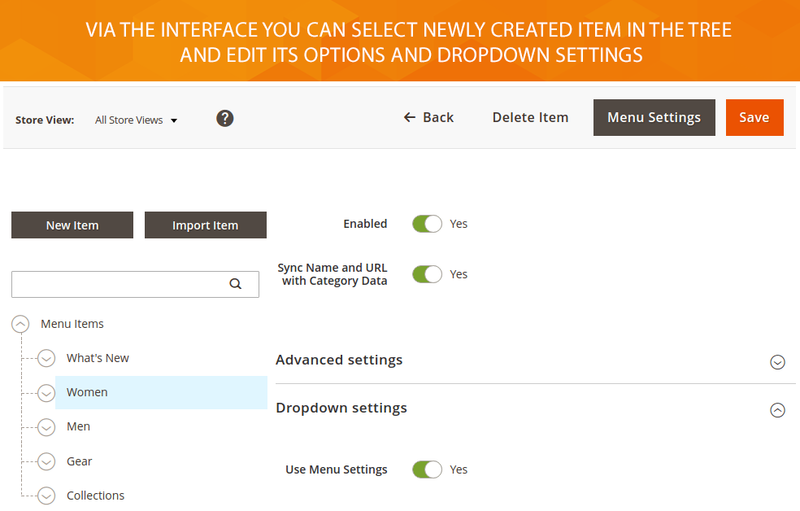 The module allows configuring top-level and secondary menu as well as customizing Apple menu styles. 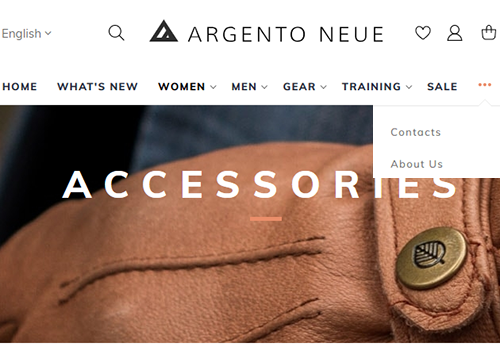 Magento default hides a navigation menu on mobile devices and shows the “hamburger menu” instead. It happens that visitors don't use this icon, because they don’t know the navigation is behind the icon. The alternative mobile menu solves this problem. Now you can show a “LinkBar” menu with top category links under the header on mobile devices. 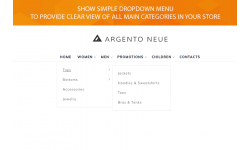 Ribbon menu is a kind of a simple drop-down menu when the dropdowns are positioned below each other. The module allows moving items in the tree to get the desired menu structure. This position of a sub-menu is convenient to browse by mobile users. 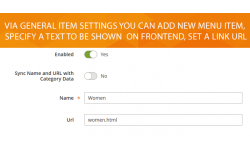 Nowrap feature allows rendering a menu in a single row by moving the top-level items into a separate drop-down when there is not enough space to fit a menu on a single row. 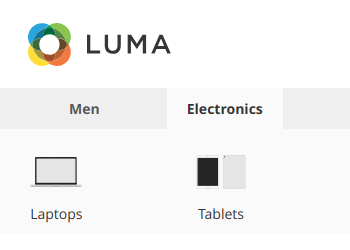 That makes a navigation menu looking well-arranged on any screen size.